he Aspen Challenge launched in partnership with Dallas Independent School District in 2018 and is returning for a second year. Twenty teams from across the city participated. Twenty teams of new students from across the city will participate. 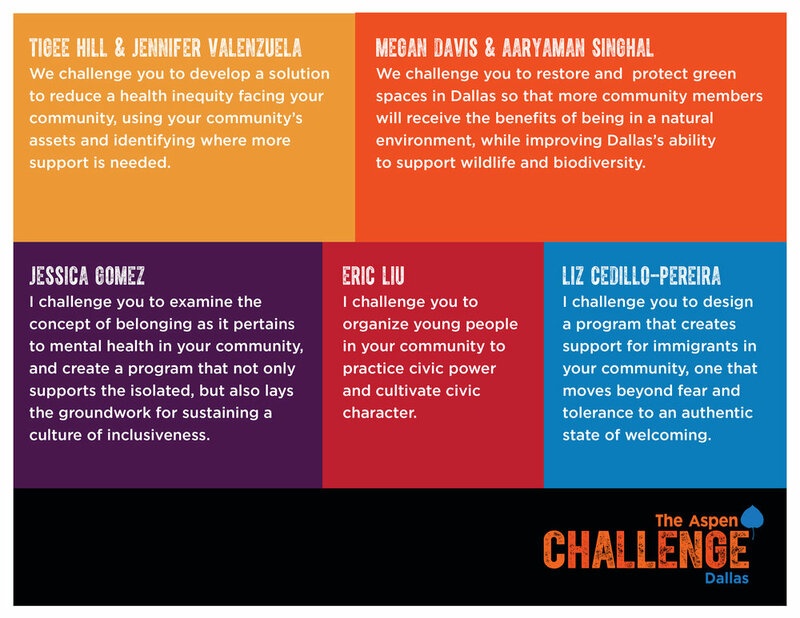 Over eight weeks, teams of students from high schools across Dallas will design creative solutions to pressing issues in their communities and showcase them for a panel of local judges.